Make a classic display of your passion for UO football with this quality photographic print! It’s taken of a team-colored helmet and measures approximately 24″ x 18″ making it the perfect Ducks-spirited wall decor for any office home or fan cave! As an Oregon enthusiast your house is filled with Ducks decor. Pay tribute to your Ducks by hanging this vertical wool Heritage banner. This classic banner features an embroidered and felt-accented Oregon graphic team name and establishment year. Past and present generations of Ducks fans agree this is the ultimate fan cave accessory! Add a little floral charm to your Ducks decor with this wooden sign. Designed by renowned artist Kate McRostie this beautifully decorated plaque features high quality graphics done in Oregon colors with a team logo in the center. This sign is ready to be displayed with its matte finish pre-drilled mounting holes and smooth edges. It will elegantly show off your Ducks pride wherever you put it! It doesn?€™t matter if the person is a celebrity a super wealthy CEO or even a president of a nation?€”if they?€™re not a Ducks fan then they can?€™t park in your spot. To be a UO fan one has to earn his or her stripes. No amount of money can buy that privilege. It can only be earned through die-hard fanaticism. Let everyone know that your parking area is limited only to Ducks fans with this 8.5?€ x 11?€ metal sign. Featuring team graphics a team logo and raised ?€œReserved Parking?€ lettering this sign will easily get your message across to anyone that decides to leave their vehicle on your premises. Fly your team’s colors at home in the office or in your dorm room with this premium quality 12″ x 30″ felt pennant! Make sure everyone knows that your fan cave is strictly Ducks territory when you proudly show off this Reserved Parking sign. It measures 11″ x 17″ and features a school name and wordmark over a team-colored background for an undeniable presentation of your team spirit! You?€™ve gone above and beyond to make sure your Ducks pride is well-known so why stop now? Add a little rustic feel to your Ducks decor and collection with this wooden sign! It?€™s made out of lightweight wood and is slightly brushed with a light paint to give it that worn-in country look. It also features wood applique team graphics along with a printed establishment date next to a team logo and a team name along the bottom. This unique sign includes a distressed rope for easy display and a die-hard expression of Oregon spirit with a shabby-chic twist! You love to show off your Oregon pride but you?€™re tired of only choosing between the school colors to show off your team spirit. Now you can give a little feminine touch to your Ducks home decor with this 12?€ x 30?€ Premium pennant. Designed by renowned artist Kate McRostie this felt pennant features a flower design with the Oregon logo in the middle. Finding and displaying team accessories that fit your personal style can be hard ?€“ but now that you’ve found this stylish pennant you can display it proudly knowing that your personal flair is seen as well. Your tricked-out ride isn?€™t the only thing that deserves a boost of Ducks spirit. Spruce up your wall with this 12?€ x 6?€ license plate sign. It?€™s made of super thin metal and features a large team name above “Go Ducks Go ?€ along with several team logos. It also hangs from a durable chain so you can mount it on your wall in no time. This sign is the perfect decor for your office home or UO fan cave! Oregon Ducks 2012 Rose Bowl Champions Ticket Frame Jr.
As the perfect item for displaying your 2012 Rose Bowl ticket the Ticket Frame Jr. combines your ticket with statistics headlines and an officially licensed 8″ x 10″ photograph. Hang one in your home or office and prepare yourself for a lifetime of storytelling. If you were fortunate enough to attend the 2012 Rose Bowl you witnessed Ducks history so let a Ticket Frame Jr. from That’s My Ticket capture the memory. It includes: Headlines trumpeting the event’s significance an officially licensed 8″ x 10″ photo from the event complete statistics for both teams and a place holder for your 2012 Rose Bowl ticket that utilizes professional-grade mounting corners to preserve the condition and value of your ticket (ticket shown in sample not included). It is double matted in team colors using white-core mat board and a high-grade metal frame for a boardroom-quality presentation. It also includes easy-to-follow instructions for adding your ticket. The overall size is 18″ x 18″. Please note: Your ticket should match the image shown. If it is different or if you have an E-Ticket please call. Celebrate the Oregon Ducks’ stunning 2012 Rose Bowl victory over the Wisconsin Badgers to finish their season in style with this Mega Ticket. Measuring 14″W x 33″H x 0.75″D the Mega Ticket is made from an authentic 2012 Rose Bowl ticket that’s been enlarged 500% printed on canvas and stretch mounted. 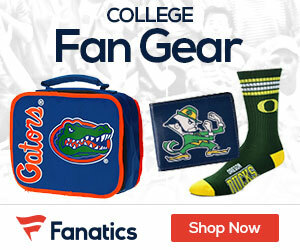 It’s perfect for autographs or decorating your fan cave in Oregon spirit! Let your boys on the field do all the hard work while you admire your fine Ducks-spirited wall decor with this Locker Room canvas print! It features exciting team-inspired graphics of a rough-and-tough football locker room with hand-painted details for a classic artsy representation of your UO pride! If you were allowed to change one thing about your neighborhood it would be that your street be named after your Ducks. Well at least you can let your friends and family know that they just made a turn into Ducks territory with this 4?€ x 16?€ Street sign. It features ?€œDucks Dr.?€ lettering over team-colored graphics the Oregon team logo on the side and two mounting holes for easy display. It?€™s the perfect accessory for any fan cave! You can see all your favorite smiling faces from the 2011-2012 Oregon Cheer Program anytime you want with this high-quality poster! This poster features a high-gloss finish and measures approximately 16?€ x 24?€. Proudly display your UO football pride with this 13.5″ x 40″ panoramic photograph of Autzen Stadium! This high-quality print features a panoramic view of a packed stadium during a game while the caption below the print includes a brief overview and history of the stadium and program. Feel like you’re back on campus when you hang this 8″ x 20″ framed letter art in your home or office. It features “Oregon” spelled out with each letter representing a part of the campus making it the perfect piece for any Oregon alum or fan. You?€™re an Oregon faithful who decks out your belongings in Ducks apparel. Nothing that you own goes untouched – even your car dons Oregon flags and banners. Make sure your fan mobile has its own team-spirited parking space with this Reserved Parking sign. It measures 12?€ x 18?€ and features a large school name with “No Beavers or Dawgs allowed” on the bottom. Anyone would agree that someone who shows off that much Oregon spirit deserves their very own team-inspired parking space. ?€œAmerica needs a leader who isn?€™t afraid of not wearing pants. ?€ That is the official slogan of the ideal presidential candidate the Duck. Support your favorite mascot and the University of Oregon by hanging up this Duck 2012 poster on your wall. This vibrant poster features the Duck entering Autzen Stadium with a US flag in hand. A banner above his head reads ?€œBreadcrumbs For All ?€ just one of the presidential candidate?€™s promises along with mandatory year-round UO football action. Add a perfect finishing touch to your office or fan cave with this Ducks Wings wood sign! The hardboard wood sign is 1/4″ thick decorated with quality team graphics. It also includes a precision-cut smooth edge and a matte-finish laminate top for long-lasting durability.